Before the end of World War II, President Franklin Roosevelt signed into law the Servicemen’s Readjustment Act of 1944, otherwise known as the G.I. Bill of Rights. 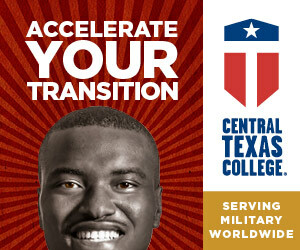 After demobilizing, returning veterans flooded colleges and universities around the country. Not only did these student veterans face basic challenges associated with reintegrating into civilian life, but schools were unprepared for this influx of students, which lead to additional problems for veterans like severe housing shortages and lack of transitional assistance. Student veterans banded together, forming peer-to-peer support networks to overcome these challenges and earn their college degrees. Through the 70’s, 80’s, and 90’s, veterans continued to transition to campus following their military service, albeit in smaller numbers.The revised Montgomery G.I. Bill was offered as a recruitment incentive for the all-volunteer force. Some of the local student veteran groups that formed on campuses after conflicts in Korea and Vietnam, like those at Northern Illinois University and the University of Wisconsin-Madison, still exist today. Following the September 11, 2001 attacks, the U.S. launched Operation Enduring Freedom (Afghanistan) and Operation Iraqi Freedom (Iraq). As OEF and OIF veterans returned home to use GI Bill benefits, they found that their campuses did not provide adequate support services to assist student veterans as they worked towards their educational goals. Lacking support, student veterans decided to organize on campuses across the country. These groups began to connect through social media with one another- spreading best practices, sharing success stories, and supporting one another to further strengthen the student veteran community. In 2008, members from various chapters formalized this grassroots movement and Student Veterans of America was born. SVA was officially incorporated in January 2008 to provide programs, resources, and support to the ever-evolving network of local student veteran organizations. Each of these independent groups could then join the umbrella coalition as a chapter. Concurrently, SVA and a number of Veteran Service Organizations were tirelessly advocating for an overhaul of the G.I. 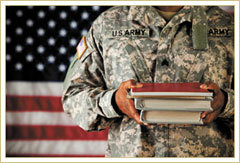 Bill to address the needs of the 21st Century student veteran. Six months after SVA's founding, President George W. Bush signed into law the Post 9/11 G.I. Bill. • SVA’s Scholarships Program provides educational funding opportunities for student veterans during the Spring and Fall semesters. • Information on colleges and universities including alerts on issues in higher education, events, SVA activities, and monthly newsletters. • Informed decision making tools through SVA and its partners including academic advisement on school choice, degree path, GI Bill benefits and other education pathways. By becoming a member of the Student Veterans of America Member Network you are joining with others who are committed to empowering the veterans community through the transformative effect of higher education. 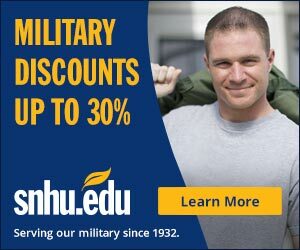 Join today and stand shoulder to shoulder with a brother and sisterhood of student veterans who have walked across the stage, clothed in their respective academic regalia, and received that life changing piece of paper, forever connected by both service and education to previous generations of veterans.